"It's refreshing to see a young champion who is willing to challenge himself." Sergey Kovalev's promoter says Callum Smith is on their 'wishlist' after being linked with a fight against the British world champion. The Liverpudlian super-middleweight has been considering potential opponents, with trainer Joe Gallagher suggesting the WBA 'super' champion could even step-up in weight for a showdown with Kovalev, if he cannot secure a unification clash in his division. Kovalev regained his WBO light-heavyweight title with a points win over Eleider Alvarez earlier this month and his promoter Kathy Duva revealed that Smith has already been identified as a potential fight for the Russian. Sergey is now back on top of the division. He has never avoided fighting anyone. The Main Events CEO told Sky Sports: "As my friend Barry Hearn well knows, Callum Smith has been on our wish list for a long time. "Sergey is now back on top of the division. He has never avoided fighting anyone. "As far as we are concerned, the contenders should all line up and he will take them one at a time. It's refreshing to see a young champion who is willing to challenge himself. "I know that Sergey respects that and so do I. That's what boxing should be about." Gallagher, who also acts as Smith's manager, is due to hold talks with Matchroom Boxing boss Eddie Hearn about the 28-year-old's next career move and expressed interest in a Kovalev fight last week. 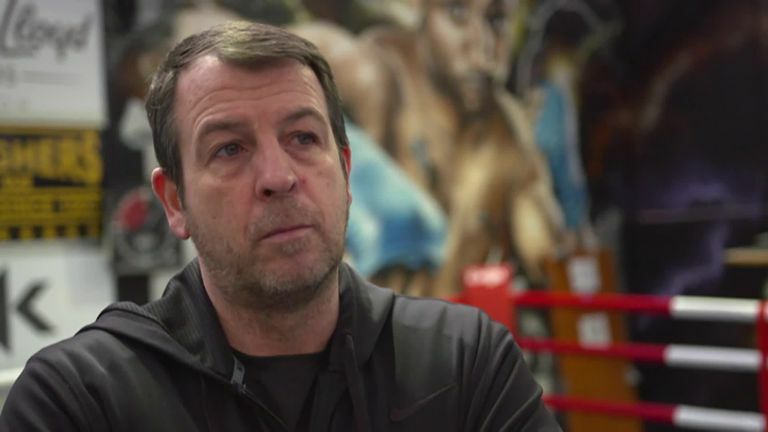 Joe Gallagher says Calllum Smith is only looking for big fights and one option is moving up to face WBO light heavyweight champion Sergey Kovalev. "They're the big fights we want, and even with Kovalev winning at the weekend, there's a possibility if no one wants to dance with us at super-middleweight, that we'd move up and fight Kovalev," Gallagher told Sky Sports. "I think that would get everyone excited, but they're the type of fights we want for Callum Smith." Benn: Are you not entertained? Ababiy: People say I'm wild!